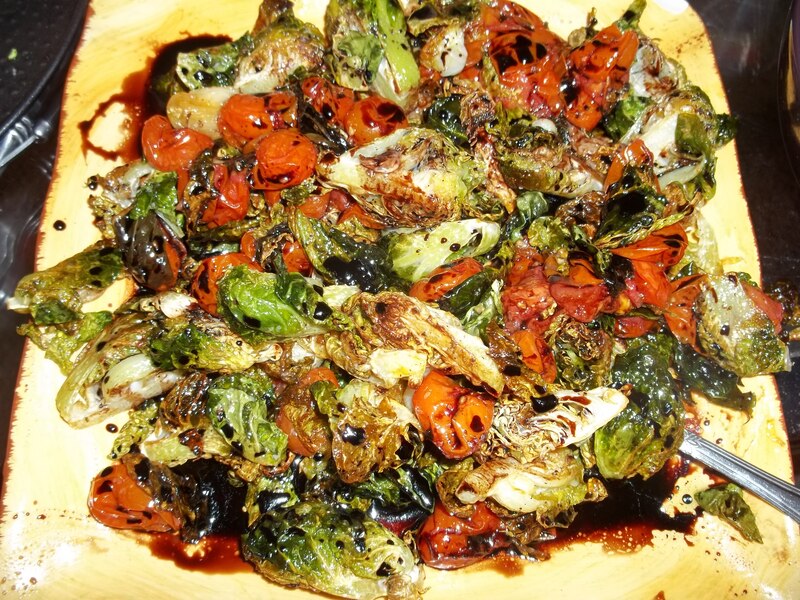 For anyone who doesn’t like brussels sprouts, this recipe will change your mind. Forget your childhood memories about being forced to finish every last bite, about the bitter bite of the sprout, probably boiled or steamed so as to remove all possibility of flavor. How, you ask, would one make a vegetable so reviled into something spectacular? Same way we make everything spectacular; we fry it and then cover it in bacon. Then drizzle it with some love in the form of balsamic vinegar and good port wine. 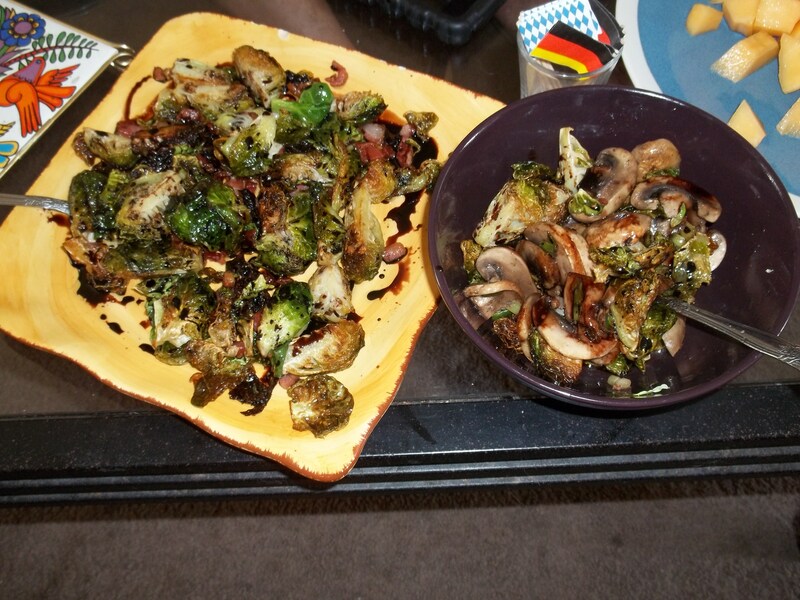 For those who don’t eat meat or would like a vegetable dish that’s not quite so … shiny … I also developed two vegetarian and likely healthier alternatives. 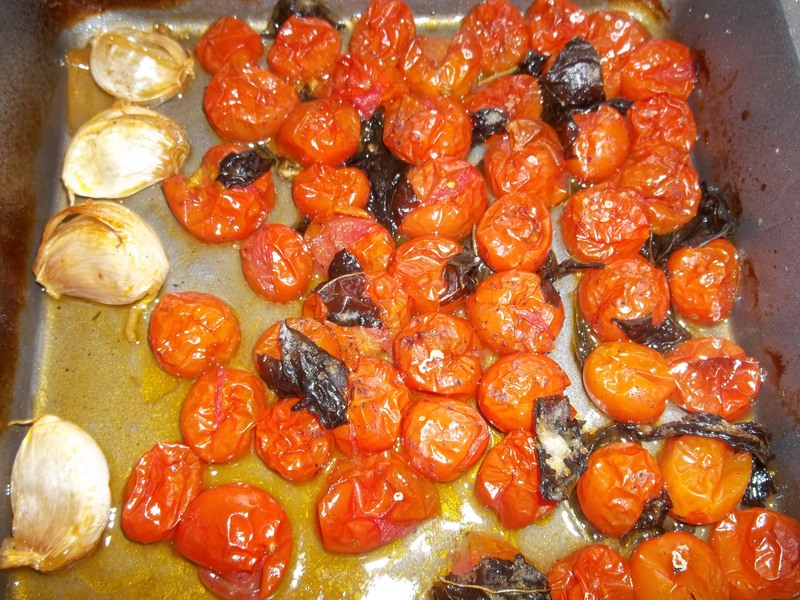 I did three versions: the original Bo Beau recipe; one with sesame oil, mushrooms and scallions; and another with a delicious pomodori al forno. Try your own variations of this recipe! 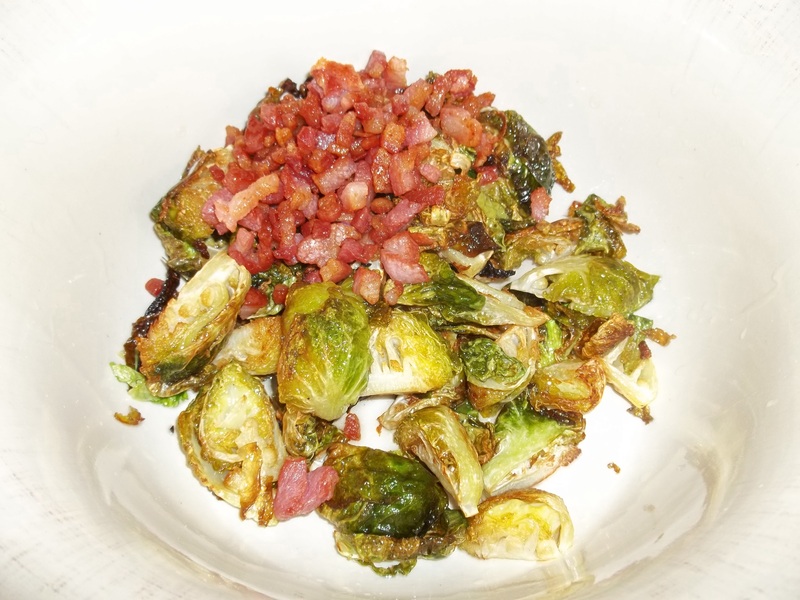 The recipe comes from Chef Katherine Humphus at Bo Beau Kitchen +Bar in San Diego, where she serves this crispy sprout recipe every day. It’s one of their most popular dishes and is my favorite of everything I have tried there. Chef Katherine was kind enough to share the recipe with me! 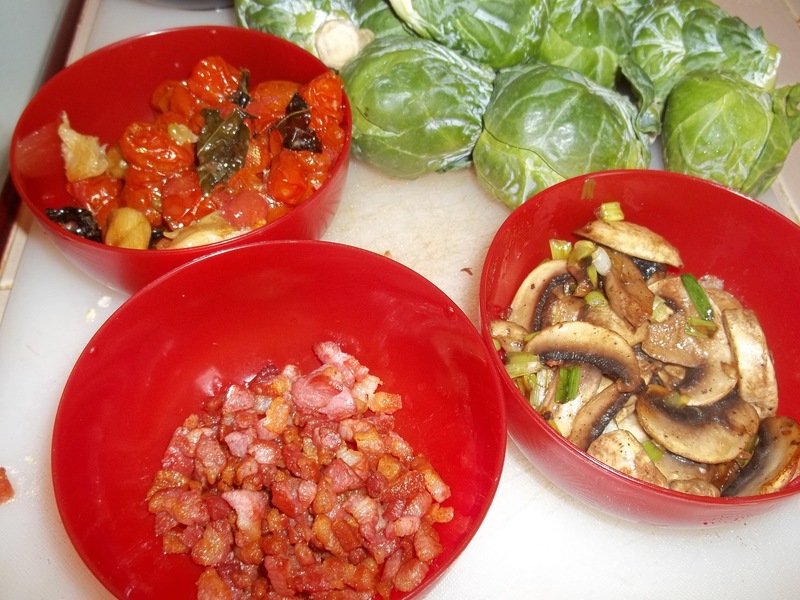 Crip pancetta and remove from heat; set aside. 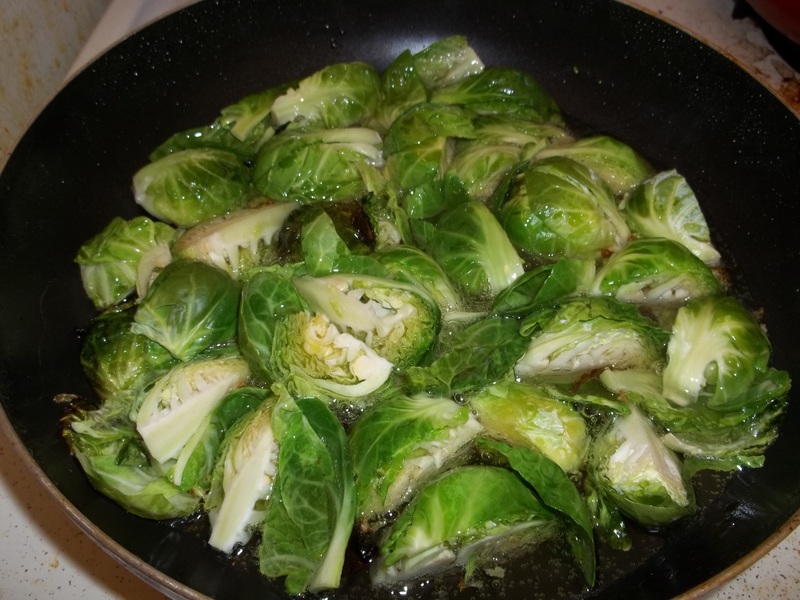 Heat two inches of oil in a skillet to 375 and fry sprouts for 30 seconds. Remove with slotted spoon, toss with pancetta, salt and pepper, and plate with balsamic port reduction (recipe follows) and parmesean. Place in small saucepan and reduce over medium-high for about 15 minutes until the consistency of maple syrup. I also did two vegetarian versions of this whopper. 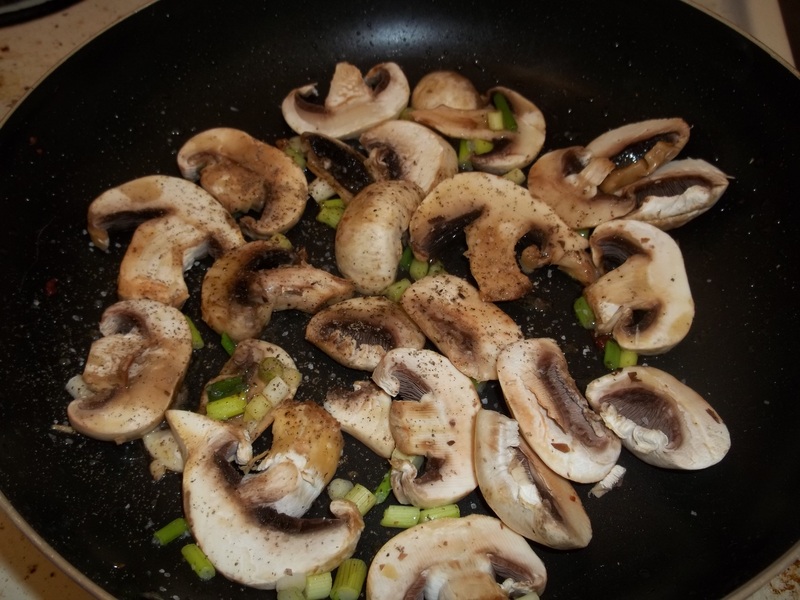 Try sauteeing a few mushrooms and chopped scallions with some sesame oil, and toss that with the crispy sprouts instead. How about a rustic, summery feel? 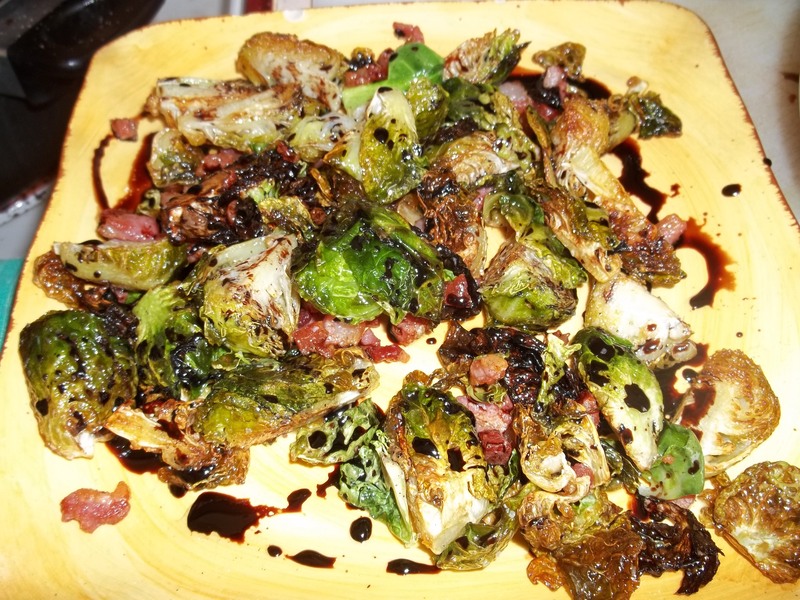 This entry was posted in cooking, food, Uncategorized and tagged bacon', best brussels sprout recipe, bo beau, brussels sprouts, chef katherine humphus, crispy brussels sprouts, delicious brussels sprout recipe, mushrooms, panchetta, pomodori al forno, roasted tomatoes, San Diego. Bookmark the permalink.